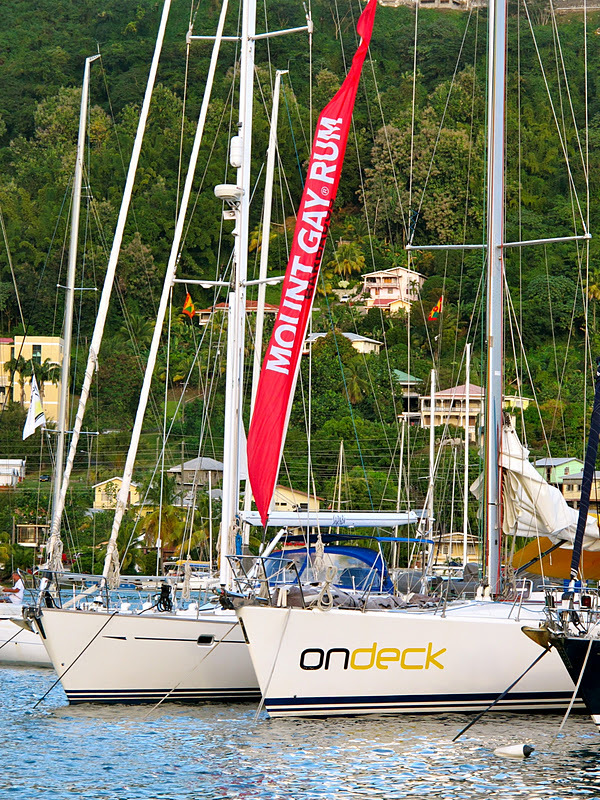 The time has come for the 2012 Grenada Sailing Festival and let me tell you - things have been kicked into high gear around here! Scott was originally going to race in this regatta (and I was hoping to be on a spectator boat), but due to our change in plans (namely going to Trinidad to store Rasmus instead of staying here) the timing didn't work out. C'est la vie! Lucky for us we get to sample a little taste of the action...okay, and the Mt. 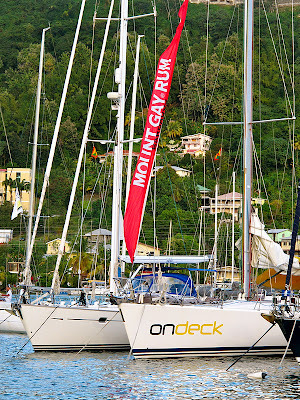 Gay Rum (the main sponsor of this and practically every other sailing event in the world). 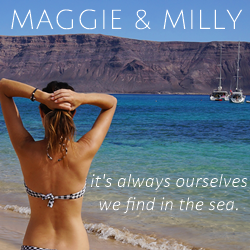 Race crews are flying in by the droves proudly wearing their red hats* and strutting their stuff in high-tech sailing shoes, fancy embroidered sailing shirts and donning the shiniest of mirrored Oakley sunglasses. They're loud, they're proud and these folks are here to have a good time. Sails are being schlepped, rigs are being tuned, battens are being pushed and the excitement in the air is palpable. Scott and I are familiar with the racing scene - it's something we spent a lot of years involved with in Chicago and while we prefer cruising, the racing "vibe" certainly has it's appeal! Despite the fact that the scene here is more tame and on a smaller scale than some of the larger regattas Scott and I have participated in - it's still about the sailing, and when it's about sailing - it's all good. While we're sad we're not going to be able to partake in the fun - it's nice being a fly on the wall for a bit! * These "red hats" are the famous Mt. Gay Rum hats that are given to just about every sailor during a regatta and are the "calling card" of the racing sailor. Some people collect and wear these hats with a pride that is a little out of proportion with the fact that it's, well, just a hat. 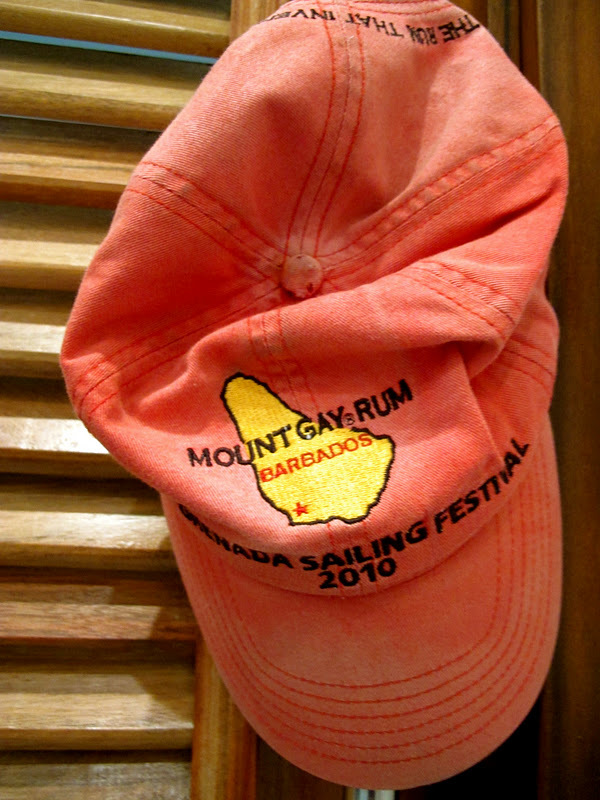 You've really reached the holy grail if you have a really faded, old, jalopy of a hat from a really 'cool' race like "Antigua Race Week" or the "Chicago Mac Race". Aaah the Red Hats (yes I felt the need to capitalize the words). I have 3 Red Hats from Mac races...but I'm almost embarrassed to wear them since they are 'bright red' and not 'worn red'. I'm too scared to wear them when I race on weekends because if the hat flies into the water during a race (as has done) I know there is no chance we'll stop during the race to pick it up, which means the bright red hat stays bright red. Yes, the red hat surely has significance to our community. Kelly K, just put the outside for a month to fade and get a hat strap! I saw a man with a red Mount Gay hat at our local Farmer's Market this past Saturday. He seemed to be wearing it with pride!